Weekends around fall break for several Marshall County cross country members were focused on meets starting October 6th at the Fast Cats Classic in Owensboro and October 13th at the McCracken County Invitational. Mason Cosner finished 11th at Fast Cats for the top Marshall County varsity boys finish, stopping the clock in the 5K race at 17:22.98 in a field of 401 runners. Madisonville-North Hopkin’s Christian Parker took the win in 15:59.97. Marshall County eighth grader, Ethan McCarty, placed in the top 25 finishing 21st in 17:46.23. Samuel Lanham finished 34th in 18:09.86 and Ethan Dowell 47th in 18:29.23. In a field of 255 at the start of the girl’s varsity race, Gabbi Lovett finished 21st in 21:45.41 for the best finish for the Lady Marshals. Karlee Hoffman of Daviess County took the win in 19:08.47. Leah Vincek finished in the top 50 for Marshall County with a time of 23:06.42. 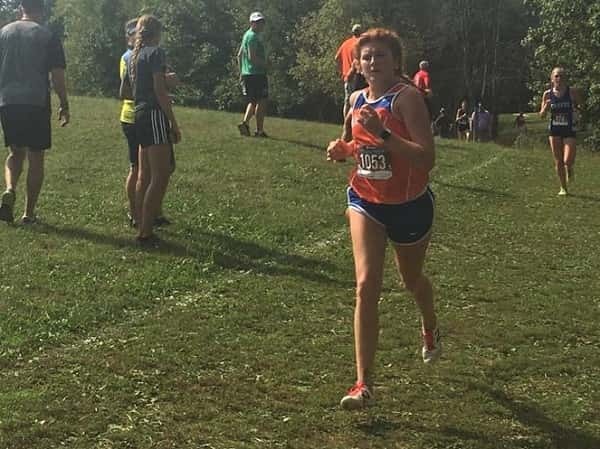 At Stuart Nelson Park on Saturday, the Marshals finished third and the Lady Marshals fourth at the McCracken County Invitational, without a full squad. Mason Cosner led the Marshals with a 10th place finish in 17:26.60 and Samuel Lanham finished 11th in 17:27.00. Madisonville-North Hopkins took the top two spots, first going to Christian Parker in 15:53.30 and second to Garrett Watts in 16:08.90. Rounding out top 20 finishes for Marshall County, Knox Sandlin was 15th in 17:42.30 and Jackson Miller 16th in 17:42.60. Gabbi Lovett led the girl’s team with a ninth place finish in 21:10.30. First went to McCracken County’s Maggie Aydt in 18:45.80. Finishing in the top 25 for the Lady Marshals, Tarryn Story 21st in 22:23.60 and Leah Vincek 25th in 23:17.00. Marshall County’s Ethan McCarty took the win in the boy’s middle school 4K race in 13:19.60 followed by Kobey Yates in 10th in 16:29.10. In the girl’s middle school race, Marshall County was led by Addison Lyles with a fourth place finish in 18:06.90 and fifth grader Eden Sandlin finishing 11th in 18:44.20.